‘Last updated: April 5th 2019’. No more struggling with putting collars and leashes over your pet’s head. A dog harness allows you to walk your pet with confidence and eliminates pressure from your dog’s neck preventing possible neck, spine, and windpipe injuries. Even if your dog is not a puller, he or she could be injured wearing a collar if they make a quick move to chase a squirrel, dog, or person. Why Get a Dog Harness? Dog harnesses are useful for teaching your dog not to pull as the pressure from a harness is more evenly distributed around your dog’s body. It is obvious that small and medium dogs lack the neck strength to handle a collar since it wraps around the animal’s neck. It restrains your pet, keeping it from moving around. A Harness provides greater support to growing puppies and dogs and even more for injured or handicapped canine than a collar as it aids your pet in various activities/playing during recovery. It supports your dog during walking, standing or climbing stairs and give you control to walk your dog comfortably. Most adoption dog centres and vets recommend using a harness. Well, you’ll love just how easy it is once you get your dog into a harness! Simply have your dog walk into it with their front legs, attach a leash, and you’re good to go. But what really makes a harness a must-have is how secure it is and the control it offers you as the dog owner. So you’ll never have to worry about your dog wiggling out of the harness while on your walks and embarrassing you. We have taken the time to test and research, and hope we have brought you ten of the best harnesses in the market today. We hope you are able to be assisted to find the best fit for your furry friend. Dogs that pull need a quality product that can last long and can take the strain from your active dog. Julius power harness is made exclusively of materials made in the EU and meets the most stringent quality standards. Designed to be highly durable, secure and comfortable, the front chest strap has been lowered 30 degrees to follow the natural curves of the dog’s chest and is the trusted choice for professional dog trainers and pet owners alike. Very effective and best quality harness as it has been used in the two largest Austrian police training centers and the fire service gave excellent results in real missions so you can be sure it will be the best for your dog. Available in a wide range of sizes and colours to suit your dog personality and needs. Chest circumference: 82-115 cm, weight of the dog: 40 -80 kg. The closeable handle allows the dog to be held firmly and lifted securely. Heavy duty buckle for safety and comfort. Interchangeable hook and loop patches. Glows in the dark keeping you and your dog visible in dim light. Skin friendly inner layer keeping your dog comfy. Torch holder Walla! In case you need light at night while walking. The Embark adventure harness has featured in our top-10 review since its conception last year, and we recently had the pleasure of being sent some Embark products to keep our canine friends happy! See our full review for more detail on how Shadow the staffy took to her harness. Overall, we were really satisfied with the Embark dog harnesses. The adventure harness is easy to get on and off and adjust, it is comfy with plenty of padding, ideal for longer active walks. It definitely increases comfort for the dog, even a strong willed staffy who likes to pull, and provides extra control for the owner. There are two attachment points; the front point being for training purposes to teach the dog not to pull, and the back for every day walking. The harness comes in a range of colour and size options, and is great value for money considering its quality. 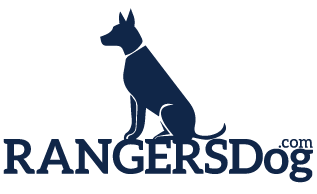 Rangers dog recommends, and we’ll happily have another! Ultra-reflective strips to keep your dog visible even at night. Easy to put on and take off saves you time. Unique adjustable strap design for a secure, comfy fit. Top easy lift handle for extra safety and control. Durable, high quality, Lightweight made from no-rip nylon. Quadruple Stitching and military grade thread for durability. 2 modes – No Pull (Front Range training mode) and regular mode. Customizable sizing for secure fit. Handle for additional assistance control and lifting if your dog is senior, elderly, disabled or recovering from injury or a service do. The Ruffwear Harness is an everyday harness that is easy to put on and comfortable for dogs to wear. The harness features two lead attachment points: an aluminium V-ring centred on the dog’s back for everyday walks, and reinforced webbing at the dog’s chest for training or additional control. An ID pocket keeps dog tags quiet and easily accessible. The Front Range Harness is available in 5 sizes and is comfortable all day for your furry friend. Will give your dog freedom to run and play as it offers solutions for lift-and-assist, training or leash pulling, and everyday adventures. Made from environment- friendly materials ideal for outdoor pursuits like backpacking, skiing, river running, mountain biking. Customizable fit with four points of adjustment allows for full range of motion. This is a nice harness. I like that I have the option to use the front or back fastening options. I also like that it is padded around the chest area. High-quality dog harness for everyday wear. Size can be Adjustable shoulder, chest and belly straps for customised fit. Easy on and off, 2 lead attachment points for ultimate control. Sturdy and lightweight nylon material. Is your dog always on the move? If so, the Hurtta Active is an ideal choice. It is pleasant to wear and unobtrusive while active and the adjustable collar and chest strap ensure your dog will have a more comfortable fit as it pulls. The vest has improved visibility in the dark with reflectors keeping you both safe from cars and bike riders. Has a size chart to get your dog perfect chest fit for comfort. Harness can be put on your dog fast and easy without having to lift any legs because buckles are located on both sides. Has a fully adjustable collar and chest strap to ensure a perfect fit. Safety adhered – The back is equipped with a sturdy handle which gives you better control of your dog in emergencies and you can run a seat belt through the handle in the car for travel safety. This model’s neck strap is ideal as it is made with elastic webbing and spreads evenly and gently right with dog’s movements. The elastic cloth has a close breathable texture, that won’t jam your pet’s hair. The bottom strap, of course, can be adjusted so that the whole harness fits your dog perfectly. You do not need to leave your dog on your traveling trips or during training sessions as with this harness, your four-legged friend will feel unrestrained the whole time. Light reflective threads run across all the nylon straps and keep your pet visible to drivers or cyclists. Has a nickel-plated D-ring for a leash which can withstand a heavy tensile load. The harness is made of durable and washable nylon material with plenty of padding. Easy to operate as the handle at dog’s upper back helps you maintain control and keep the dogs from pulling you down the street. Multiple use-The dog vest harness leash connector D ring on the back is perfect to attach a seat belt and still be used to keep the dog safe as a regular leash tied in when you walk or riding. Made of highest quality nylon outside, nickel-plated hardware, thick material with soft padding underneath, make your pets comfortable and reduce weathering. Has an adjustable locks buckle free switch and can be put on and off easily even for large dogs. Great features-The dog vest harness mesh part offers total control, fashion style and comfort for every dog. When you’re going for a trip with your faithful friend, ensure his safety just like your own, with this 2 in 1 harness. Exactly what I needed to contain my Kiki to the back seat as she always wants to crawl into the front seat with me and be a lap dog, which is a major safety hazard. The included strap for this harness is long enough to let your dog move in the back seat and lay down, but prevent him/her from hopping into the front seat. It is very easy to fix as this harness can be fixed in most car seat belts systems and doubles up as also a walking harness. Made with nylon material which covers all points of contact and ensures maximum comfort as it keeps your dog safe even in the car. Caters for large and medium size dogs. Quick-Clip Buckles provide you with fast and easy on and off for hassle-free fun. Doubles up as a harness when traveling and still when walking. Comes in large and medium sizes to suit your dog size. Ideal for outdoor and road trips while traveling with your pooch. Used only the strongest and high quality materials in this product to ensure maximum comfort for your dog. You can’t help but notice that many of the features of other harnesses are reflective trims for more visibility. However, this is pretty unique. We recently had the privilege of testing the Embark dog harnesses out for ourselves. Head over to our full Embark Harness review to find out more! In summary, we love this 360 degree high visibility harness which is made of a reflective mesh all over, so your dog cannot be mistaken on a dark night walk. Many of us particularly in winter, have to take our dogs out early in the morning or late after work, and safety is paramount. Think of unlit country lanes where drivers race along, we’ve experienced it all too often. Made from thick, durable materials with quality at the heart of Embark’s ethos, this harness is excellent value for money and the only one we can find which is all round reflective. We may have featured two harnesses from one brand, but we were genuinely impressed with both, each on their own merit and unique purpose, and we were not obliged to feature the harnesses in our top-10 review. Kurgo Tru-fit has multipurpose use it is not only an easy dog walking Harness but also can be used as a pet seat belt tether for a car to prevent distracted driving. This crash-tested dog car harness keeps you and your pup safe on the road, designed as a dog safety harness rather than a converted walking harness. The fit it gives your dog is great for those long runs or walks around the neighborhood, by the beach, at the park, or in the city. The halt D-ring front leash attachment prevents pulling by turning your pup around when he tries to pull, training him that pulling will get him nowhere and puts you in control. It is better than most harness with easy adjustment, this harness comes with quick release buckles, and giving you the control you need and want. The harness has five adjustment points to be able to customize the perfect fit for your pup. Broad, padded chest plate for extra protection and comfort. Compatible with any vehicle seat belt system. Includes a carabiner and 10-inch dog seat belt loop. Functions as an auto or walking harness. Five adjustment points for a perfect fit on dogs of all shapes and sizes. Can be used in car travel as restraint with dog car harness. If your dog is an active dog this is the harness for you. You still want to be in control on your walks even when she/he push and pull hence non-Pull Harness is an instant solution for dogs that pull when walked. The elastic webbing and mesh covering the dog’s chest allows freedom of movement and the padded “Sherpa sleeves” provide additional comfort to eliminate rubbing while still keeping the owner in control. The Non-Pull Harness is easy to use and simple to fit as it is designed to tighten on the dog when they pull on the lead. This will ultimately deter the dog from pulling and will return them to normal controlled walking. The Non-Pull Harness is available in three different sizes – Small, Medium & Large – to cater for virtually any size and breed of dog. It uses the ‘squeeze and lift’ theory that tightens on the dog when they pull on the lead. A sliding security cord lock prevents over-tightening keeping your dog safe from choking. The patented chest mesh design allows unrestricted movement. The padded “Sherpa sleeves” provide additional comfort to eliminate rubbing while still keeping you in control. It is an ideal harness for small and medium sized dogs and is recommended to be used with a HALTI Training Lead. Medium Size: suitable for dogs with neck circumference between 12-17 in / 30-43 cm. The Ruffwear Hi and Light Harness is designed for fast and light adventures. Clip it on and hit the trail, pavement, or grass with your furry friend. Its four points of adjustment provide the perfect fit for your pup without restricting movement. The materials are resistant to dirt and debris, so go ahead and let them do what dogs do. The aluminum V-ring provides a secure connection to your favorite leash for their safety and your peace of mind. Safety is also adhered to with the reflective trim and light loop for Ruffwear’s Beacon Light (not included) help keep them visible as your adventure extends into the night. Good quality harness as it is light weight and looks to be made extremely well so I believe it will definitely hold up to your expectation. The Hi & Light Harness is your go-to harness for fast and light adventures like day hiking, going for a quick run, or just heading to the dog park. Keep your dog safe as the single leash attachment point on the back of the harness is a durable anodized aluminum V-ring. The four points of adjustment offer a customizable fit and a full range of motion. The lightweight construction will keep your pup light on their paws! Made with a liner that’s durable and stays clean longer. With the reflective trim, you and your dog can stay out longer. Walking your dog is very essential and you may need more than a simple collar and a leash to control your furry friend. You may need to use a harness to help with control and safety issues. A harness can give you more control with your dog when you are out and about and you become the envy of your family and friends who are having difficulties to control their dogs. A Dog harness is friendly and will grant you greater control of your puppy and dog and keep you relaxed when you are outdoors.